The rumblings could soon become explosive. 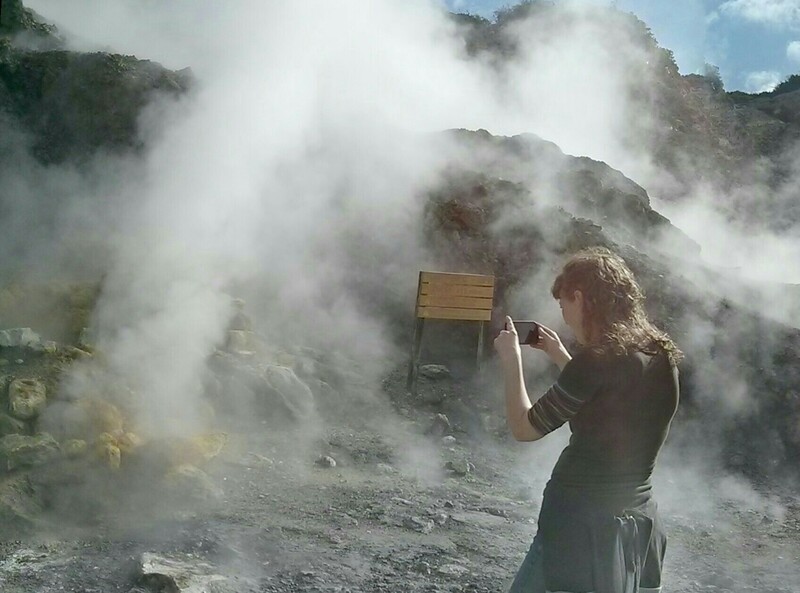 Scientists warn that past predictions of risk at the Campi Flegrei supervolcano near Naples, Italy, have not fully accounted for the accumulated stress of recent rumblings under the surface. In research published Monday in Nature Communications, geologist Christopher Kilburn with University College London and co-authors propose that the next big eruption could come sooner than expected — putting more than a million nearby residents at risk. Campi Flegrei, or the Phlegraean Fields, doesn’t look like a volcano in the way we usually think of them. Instead of a mountainous protrusion from the earth, Campi Flegrei takes the shape of a large circular depression, also known as a caldera, about eight miles across. This caldera is the geological imprint left by ancient eruptions, particularly a giant one 40,000 years ago that may have contributed to the demise of the Neanderthals in Europe. Ash from a giant eruption of Campi Flegrei 40,000 years ago covered large swaths of Europe and Russia. The volcano hasn’t erupted since 1538, which explains why so many people have boldly moved into the belly of the beast. Yet three major periods of rumblings since 1950 have volcanologists worried that magmatic trouble is brewing down below. Although no lava broke through the earth’s crust, these recent periods of unrest were far from benign. The coastal town of Pozzuoli has risen ten feet from the ocean, and earthquakes that rocked the area from 1982 through 1984 forced the evacuation of 40,000 people. But previous models for predicting future eruptions have assumed that risk after such a disruptive event return to what they had been before, Kilburn and colleagues note. But that doesn’t account for the accumulation of stress that makes a rupture of the crust more likely with each successive period of unrest. The authors examined data from deep core samples from the caldera to show that the 1538 quake was preceded by events of unrest similar to those of the last 70 years, and that stress accumulated each time the earth above the volcano shifted. Campi Flegrei is relatively quiet today — no one is planning an immediate evacuation. But the next time the ground below the caldera starts to rumble, residents should not expect recent history to serve as precedent. Deep history shows that the caldera will one day split open and let magma flow out from within, and there’s good reason to believe that it could happen within the lifetime of residents who call the volcano home today. Unrest at large calderas rarely ends in eruption, encouraging vulnerable communities to perceive emergency warnings of volcanic activity as false alarms. A classic example is the Campi Flegrei caldera in southern Italy, where three episodes of major uplift since 1950 have raised its central district by about 3 m without an eruption. Individual episodes have conventionally been treated as independent events, so that only data from an ongoing episode are considered pertinent to evaluating eruptive potential. An implicit assumption is that the crust relaxes accumulated stress after each episode. Here we apply a new model of elastic-brittle failure to test the alternative view that successive episodes promote a long-term accumulation of stress in the crust. The results provide the first quantitative evidence that Campi Flegrei is evolving towards conditions more favourable to eruption and identify field tests for predictions on how the caldera will behave during future unrest.